The Wall Street Journal Poses the Question Are Eggs Bad for You? It was with extreme surprise and a sense of disappointment that The Wall Street Journal resuscitated the debate over egg cholesterol in the September 17th edition. Dr. William Roberts, Executive Director of the Baylor Scott and White, Heart and Vascular Institute at Baylor University and Medical Center dredged up the usual canards concerning egg cholesterol. It is surprising that a scientist in his position still believes that a large egg contains 215 to 275 mg of cholesterol. It is now generally accepted that the content of large eggs is in the range of 175 to 200 mg. 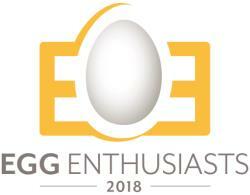 The major points advanced by Roberts concerning the potential deleterious effect of eggs relates to studies involving herbivores in which plaque develops in the intima of arteries after feeding diets with exceptionally high cholesterol content, inconsistent with a human diet containing one egg per day. Roberts also criticizes research published in peer-review journals showing no demonstrable effect from moderate consumption of eggs as being biased due to support from the Egg Nutrition Center, a component of the American Egg Board. In contrast, Dr. Maria Fernandez, professor in the Department of Nutritional Sciences at the University of Connecticut maintains that there is no evidence to suggest that consuming an egg each day elevates the risk of cardiovascular disease. She notes that dietary guidelines released by the U.S. Department of Agriculture in 2016 no longer place an upper limit on dietary cholesterol intake. Consistently, studies conducted by independent researchers have shown that there is no adverse effect from moderate consumption of eggs and biomarkers of heart disease are not elevated by an intake of one egg per day. Dr. Fernandez also pointed to the beneficial nutrient content of eggs, a fact which is grudgingly conceded by Dr. Roberts. Egg cholesterol as a factor in inducing cardio-vascular disease is a dead issue. 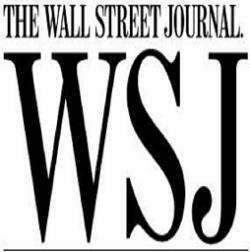 Why The Wall Street Journal should dredge up outdated concerns given the host of other public health problems is questioned. Perhaps the WSJ should concentrate on the 72,000 drug overdose deaths in 2017 as an issue of significance. Given their emphasis on business and economics, the WSJ could also consider the cost of both prescription and generic drugs and healthcare in general.